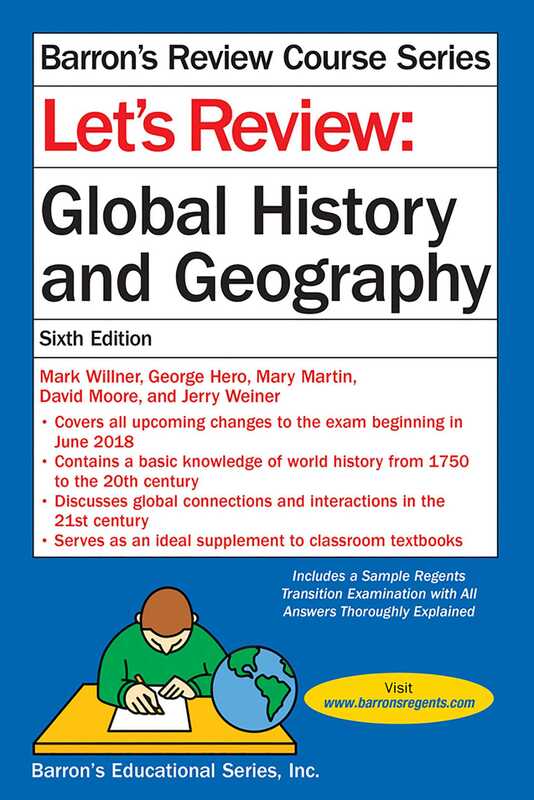 The Global History and Geography Regents exam will soon be changing, and Barron's Let's Review: Global History and Geography, 6th Edition, is the book you'll need to prepare for the latest exam. Starting with the June 2018 test, this Regents will have a similar format to the current exam, but it will only test content ranging from 1750 to the present. This edition will cover all of these changes to the exam while reviewing all of the content that you'll need to know to achieve success on this test! This book is designed primarily to prepare high school students for the Global History and Geography Regents exam, but it will also be helpful to students in their daily Global History and Geography coursework.